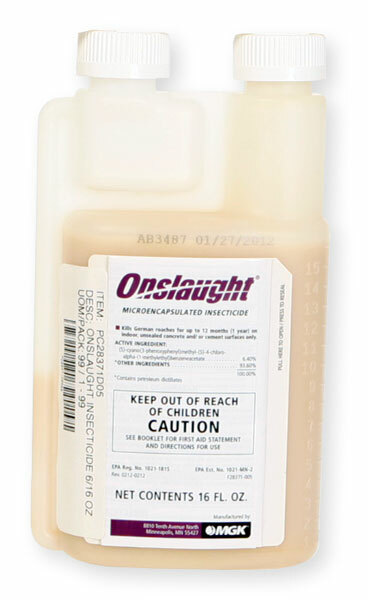 Will onslaught be effective against Asian lady beetles by spraying the grass and 3 acre field around my house? Onslaught is very effective against Asian lady Beetles, however, spraying 3 acres is going to be expensive and will not provide 100% control. I would guess only about 80-90% control with repeated applications until the seasons change and the asian beetle population declines significantly. I would recommend to treat the exterior perimeter of your home only and also seal up any and all holes where they might enter. This will provide good control. Also treating an area the size of an average yard around your home might help.